When I picked the Kansas City Royals as MY team, I had no inkling I was picking a loser. As a child, I wasn’t making a larger statement about life being about suffering and disappointment. I initially picked them because they were affiliated with the Memphis Chicks, my hometown’s minor league baseball team. 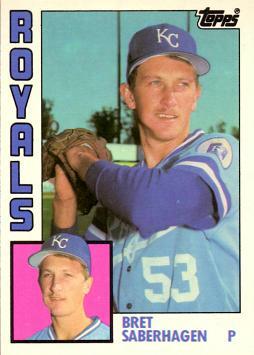 Every year or two, the Royals would come to town and play an exhibition game against the Chicks. For the first time in my life, I could watch a professional sports team in Memphis. And they had George Brett, Bo Jackson, Bret Saberhagen, Willie Wilson, Dan Quisenberry and Tom “Flash” Gordon. Tonight, after snapping the longest drought in professional sports with 29 years without a playoff appearance, the Royals won the American League pennant and they’re headed for the World Series. It’s hard to believe. I sat in front of the television wearing my lucky Royals t-shirt (they haven’t lost a game I’ve watched in person or on TV when I wear it, so please take your rational thought elsewhere), argued calls, talked trash to men hundreds of miles away, shouted like a madman when they got the last out, hugged my wife, my dog, wiped a tear from my eye and celebrated like I played some part in it. Of course, I had nothing to do with it (my lucky t-shirt notwithstanding), so why does it feel so good? There is a temptation as a fan of a long-suffering team to feel some sense of entitlement to winning. After all, literally every other team in baseball had some reason to celebrate with a playoff berth over the last 29 years. As a Royals fan, I had to enjoy victories in April, like when the Royals won 9 straight games to start the 2003 season. While I’m always tempted by the opportunity to wallow in a little self-pity, I don’t feel like the Royals owed me anything. Even when they were terrible, there were moments of joy for me. No one forced me to love them. I could have switched allegiances at any time or simply stopped keeping up with baseball. I stuck with the Royals. Of course, I had other teams, too. I grew up watching the Atlanta Braves on TBS. They had Dale Murphy, a few other guys and Dale Murphy. A replica of Murphy’s signature was inside my first baseball glove. They were terrible, but Murphy was great and I could watch them almost every night. However, I soured on the Braves in the early 1990s, when they went from MY laughing stock to everyone in my town’s favorite team. I felt alone when the Braves were terrible, but now everyone else got to feel good when they won? 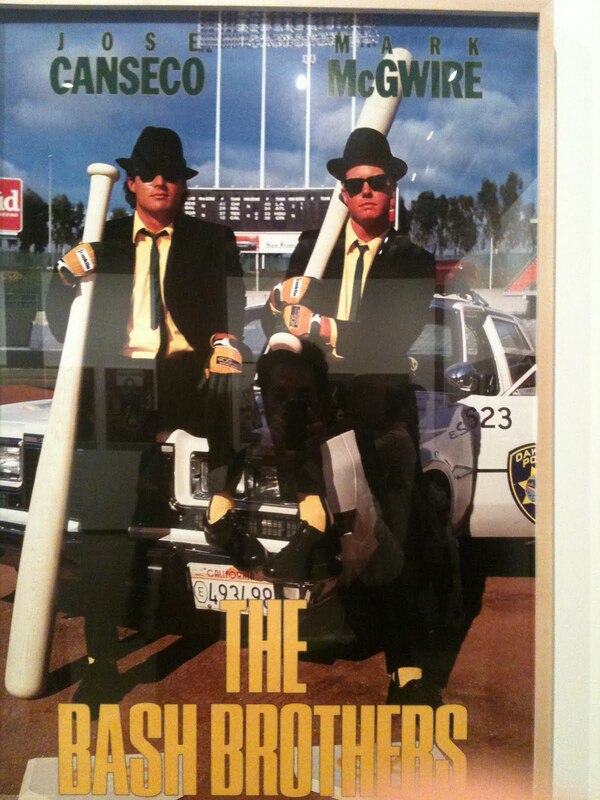 Then, it was the San Francisco Giants. For a few years, my favorite player was the Giants Will “The Thrill” Clark, a southern left-handed first baseman like me. I fell out of love with the Giants when they didn’t re-sign Clark, my only reason for cheering outside of Kevin Mitchell and spite for the villainous Oakland A’s, after the 1993 season. In hindsight, it was more fascination than love. The only other team that came close to stealing my heart was the St. Louis Cardinals. Almost every summer for several years, our family would take a trip to St. Louis and go to Busch Stadium to watch Ozzie Smith and the speedy, exciting Cardinals of the 1980s. I still have a soft spot for the Cardinals and cheer for them any time they’re not playing the Royals, but they never truly felt like MY team. I was thrilled when they won the World Series in 2006 and again in 2011, but everyone I knew as a kid (or at least their dad) loved the Cardinals. Sometimes, I wonder why I get so emotionally invested in sports. My days of playing sports competitively are over, so I’m stuck as an observer rooting for guys who are 10 years younger than me, make more money in one season than I’ll make the rest of my life and excel at a game for which I only ever held marginal talent. It’s probably true that I get so invested in sports for the same reason as everyone else who loves sports: it is a temporary distraction from the more difficult parts of existence, it carries much more neat categories of success and failure than everyday life and most importantly, it is a diversion from the certainty of death and provides a false sense of immortality through a game that will outlive all of us. But that’s pretty grim and I’d rather not dwell on all that. Bo Jackson One of the Royals vs. Chicks exhibition games I attended was in 1989. Bo Jackson, maybe the greatest athlete ever, was in his prime and as an excited 7-year-old boy, I was getting to watch this real-life superhero play in Tim McCarver Stadium in Memphis. My dad, my friend Matt, his dad and I sat out in the leftfield bleachers. Matt and I took the bold stance of cheering for the major league team by heckling those who were cheering for the underdog Chicks in the exhibition game. “If you’re cheering for the Chicks, you’re a LOSER!” Two 30-something-year-old women turned around and angrily asked if we were talking about them. We laughed. While we sat in the bleachers, Bo hit two home runs to deep centerfield. Both of the home runs landed within feet of one another. 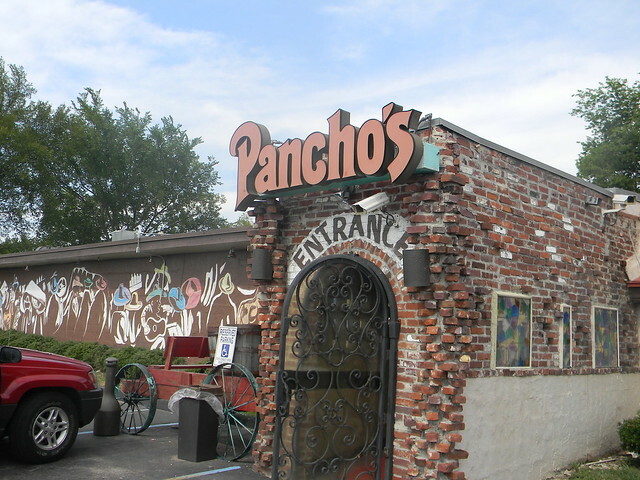 It was like Bo decided exactly where he wanted to hit the ball and chose about 400-something feet away from the batter’s box, If he wanted to hit the ball to Graceland, my favorite childhood restaurant (Pancho’s) or my house about 15 miles from the stadium, he probably could have. My memories That exhibition game was one of many excellent memories I have with the Royals. There have been entire seasons of embarrassment and looks of pity when I wore a Royals hat, but I forgot most of the details within a week. It’s the joyful moments that have stuck with me.I graduated high school in 1999 and my dad offered to take me on a father-son trip anywhere we could reasonably drive in a day. Naturally, I chose to go to Kansas City. It was my first time to see the Royals play a regular season game in beautiful Kauffman Stadium. Unlike the Braves, the Royals were almost NEVER on television. I kept up with them through the newspaper box scores and the few years we had cable, highlights on ESPN. Now, I was getting to see them in person. Not only that, George Brett was being inducted into the Baseball Hall of Fame that weekend. The stadium was beautiful. The huge waterfalls in the outfield were even more wonderful up close.We sat in 100-degree heat in the upper deck on a Sunday afternoon game against the Oakland A’s and saw Jermaine Dye hit a game-winning home run, we borrowed an advertisement for the Kansas City Star‘s special edition celebrating Brett’s induction, I saw two 20-something-year-old guys give the most enthusiastic high-five I’ve ever seen when the opening riff from AC/DC’s “You Shook Me All Night Long” played over the ballpark speakers and we watched Joe Walsh play in front of the strangest baseball crowd I’ve ever been a part of. Most of all, I got to spend time with my dad. We rode in his convertible, talked, heartily cheered on the Royals and laughed about the crowd of feather-haired weirdos enjoying Joe Walsh with us. The father-son connection of baseball may be a cliche, but it was a genuine experience for me.My return trip to Kansas City came in 2012, when my friend Ryan and I lucked into seeing former Royals star pitcher Zack Greinke pitch against his old team as part of the Anaheim Angels. 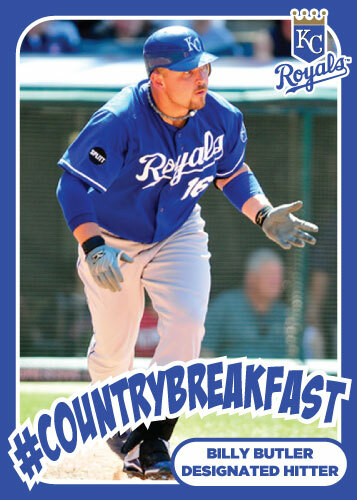 Greinke was masterful, but Angels relief pitcher Ernesto Frieri gave up back-to-back home runs to Billy Butler (“Country Breakfast” to his friends) and Salvador Perez. Ryan and I jumped around, gave each other high-fives and got our picture taken together with huge smiles on our faces. It was a blast. The next day, I sat in the centerfield stands and heckled the undisputed greatest baseball player in the world, Mike Trout. He laughed at my barbs and shrugged his shoulders when I asked why the huge payroll of the Angels couldn’t get them into the playoffs that season. This season, I traveled to St. Louis with my wife, Kandi, to watch the Royals play the Cardinals. Kandi was cheering for the Cardinals. The Royals made a late rally capped by a go-ahead home run by Alex Gordon, my favorite current Royal. You could see us on TV. There was a moment when the Royals scored to take the lead and you can see me on the broadcast leap out of my seat and yell triumphantly while surrounded by Cardinal red. Kandi, who was wearing a Stan Musial shirt to show her support for the Cardinals, can be seen peeking her head around me with a big smile on her face. What a sweetheart. I got to watch my second away game this season, when I traveled to Tampa Bay with Ryan to watch the Royals. James Shields, the Royals ace pitcher, threw a shutout in his return to Tampa, who traded him to Kansas City in December 2012. We sat directly behind the Royals’ dugout, chanted for pitching coach Dave Eiland after being goaded by friends of Eiland’s daughter and one of my loud yells was captured on the television broadcast. While in Tampa, we went to Hogan’s Beach, Hulk Hogan’s bar and grill. It was in a Best Western and smelled like chlorine. The food was better than expected and the beer came in plastic cups. I enjoy when people think about me Why didn’t I love the Cardinals like I love the Royals? I went to far more games in St. Louis than Kansas City, I loved watching Ozzie Smith flip out on to the field and shouting as Vince Coleman stole bases. Maybe it’s a symptom of egotism or knee-jerk contrarianism I’ve carried since childhood, but I think one of the reasons I couldn’t truly love the Cardinals was the same reason I fell out of love with the Braves. 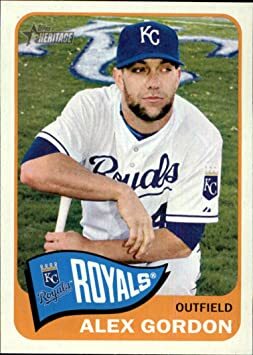 Everyone else took them from me.Even in the late 1980s and early 1990s, when it seemed the Royals would be a very good team for a long time, I didn’t know anyone else who loved the Royals. They were my team. I have since met many wonderful people who share my devotion for the Royals, but I still feel the same way. I think there’s a part of me that enjoys the idea that some people I know or once knew identify me with the team. People come and go from your life, but I like knowing that friends I see almost every day and those I haven’t seen in years may think about me when they see something about the fortunes of the Royals. I have the same warm feelings about several of my friends when their teams do well. When the Pittsburgh Pirates had their first winning season since 1992 last year, I thought about my other friend Ryan, this one from Pittsburgh. I imagined how excited he must have been. I thought about how much I enjoyed working with him and how our conversations about all sorts of things, including sports, helped me get through some tough times and long days at our job. I was happy for him.Since the Royals’ recent improbable run, I’ve received well-wishes of some kind from friends in Atlanta, Pittsburgh, Milwaukee, Tuscon, Fort Worth, Conway, Ark., Charlotte, Austin and Memphis. 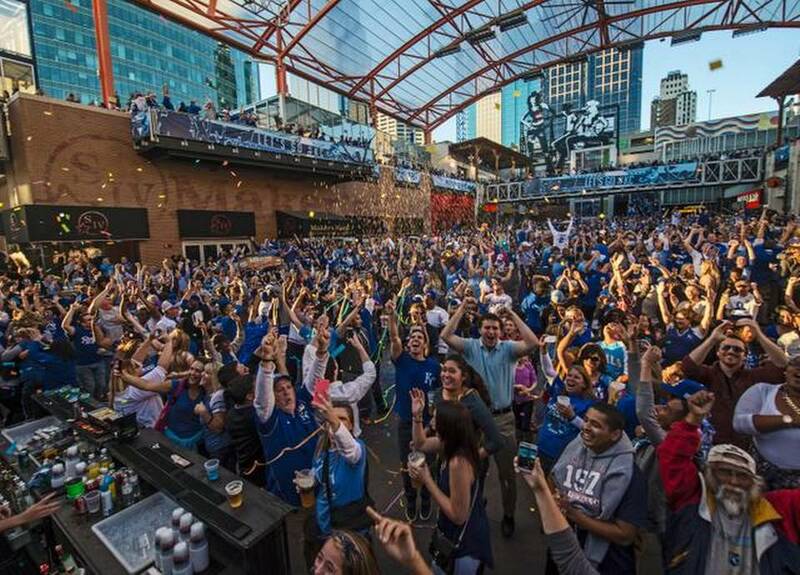 Some have told me that they’ve become invested in the Royals’ success on my behalf. That feels really nice. I love an underdog I didn’t choose the Royals because they were an underdog, but their eventual slide into oblivion may have cemented my love for the team. I have spent the last 29 years adopting an underdog team in the playoffs, rooting for them in lieu of the Royals and imagining how great it would feel if they could be there. I think I knew that all of those years of losing, frustration and disappointment would only make their eventual rise that much more beautiful. I was right. 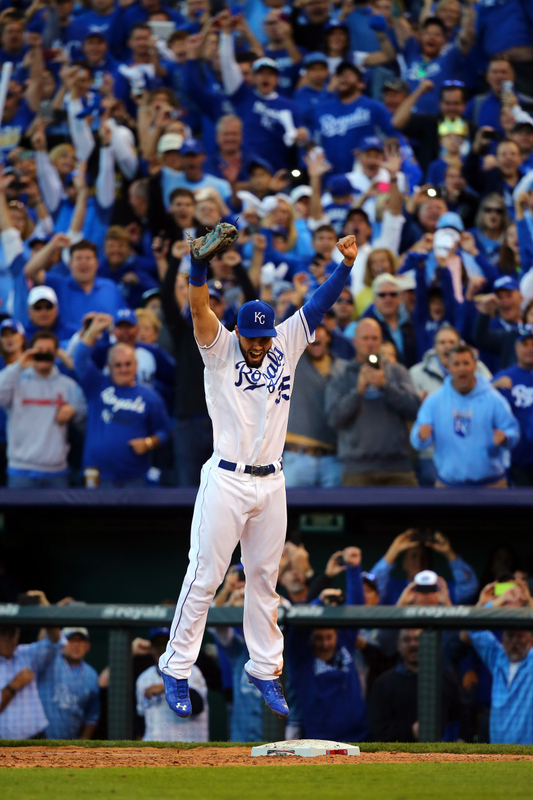 The Royals are going to the World Series.